Jessica began her career in 2008 at Deutsche Bank Securities, as a Registered Sales Associate/Assistant Vice President. In this role she supported two financial advisors managing high net worth individuals and their families. Assisting clients in all phases of the relationship from opening, servicing and maintaining accounts, trading and general communication with clients. Jessica joined Loyola Asset Management in 2017 as Client Relationship Manager. 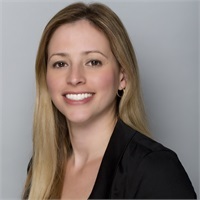 In December 2018 Jessica took on the Chief Compliance Officer position at Loyola Asset Management, she is responsible for overseeing compliance within the firm and ensuring compliance with laws, regulatory requirements, policies and procedures. Jessica holds her FINRA Series 7 and 66 licenses. In addition to her passion for her career, Jessica enjoys spending time with her husband and two sons.